A podcast about farming, family, and the Catholic faith. 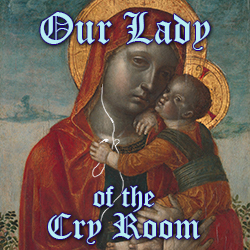 by Our Lady of the Cry Room | Betsy and Matthew discuss making it up as you go, the great dryer fire of ’19, and virtue/sin. Teddy and Matthew discuss Teddy’s plan to save the tigers. Betsy and Matthew discuss a tweak of the wrist, the cry-room pros and cons, and the problem of prefectionism. Betsy and Matthew discuss a snowy winter, celebrating feast days, and mild depression as spiritual growth.